Marv Tarplin, Motown guitarist with Smokey Robinson and The Miracles, has died at his Las Vegas home aged 70. Tarplin was one of the group's original members and co-wrote several of their hits including Tracks of My Tears, which was released in 1965. He remained with the group until 1973, and continued to collaborate and tour with Robinson until retiring in 2008. A spokeswoman for The Miracles said the cause of death had not yet been determined. 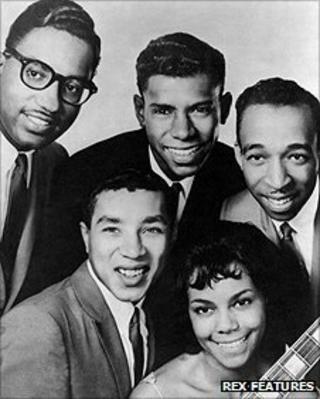 Born in Atlanta, Georgia, Tarplin first came to Berry Gordy Jr's Motown label in the late 1950s as a guitar player for the Primettes, a teenage girl group that later became the Supremes. Robinson, who was already with the label, hired Tarplin on the spot to play for The Miracles. He went on to co-write hits including My Girl Has Gone, Going to a Go-Go and The Love I Saw in You Was Just a Mirage. The guitarist also co-wrote I'll Be Doggone and Ain't That Peculiar for Marvin Gaye in the mid-60s. After Robinson went solo in 1973, Tarplin continued their musical relationship and co-wrote the singer's hits Cruisin' and Being With You. Billy Wilson of the Motown Alumni Association paid tribute to Tarplin as The Miracles' "secret weapon". "You can't express how much this one man meant to those of us dreaming to make it in the music business," Wilson said. "His creative backbeat rhythms on guitar allowed the powers that be to find the creative juices to formulate what would become major classic hits for Motown." Tarplin is survived by three daughters.